Can the mighty and profane Eugène François Vidocq, historys first great detective, solve this mystery of political intrigue and epic treachery set in 19th century France? Literary chiaroscurist* Bayard's 1818 Paris, at the peak (or is it the depth?) of the Restoration after the bloody Revolution, comes alive on the page as Eugène François Vidocq, the father of modern police detection, unravels a complex knot of crimes that could ultimately produce Louis-Charles, Louis XVI and Marie-Antoinette's young son, long thought to have died while imprisoned in the Black Tower (part of the notorious Temple prison in Paris) in 1795. If the person in question is indeed the lost/reputedly deceased dauphin (heir to the French throne) he could displace King Louis XVIII, threatenign his plans for the future of France. Needless to say tensions run high as red herring after red herring gets thrown into the path of forensic genius Vidocq. Beginning with the murder of an unidentified man who was killed in an alley not far from the home that 26-year-old Parisian doctor Hector Carpentier shares with his widowed mother. The dead man has a paper in his pocket with Hector's name and address written on it. From the very first moment the brash, expansive Vidocq enters Hector's home  helping himself to food and wine  he outdistances the hapless med student in both wit and clarity of purpose. Granted, Hector hasn't a clue why this round, foul-smelling man has invaded his home, but it seems futile to struggle against a person who has so handily intimidated him. More clueless yet, Hector hasn't the remotest idea why the dead man, later identified as Chrétien Leblanc, would want to visit him. Wasting no time Vidocq, inspired by the real life Eugène François Vidocq who founded the French Sûreté, sets out with Hector in tow to peel back the layers of intrigue surrounding Leblanc's death. It is in the peeling back of these layers where Bayard's skills as a storyteller shine and where the lights and shadows of each character, of each facet of the plot, are displayed. For Vidocq is not just a cop and Hector is not just a simple med student, and Hector's relationship with his father  who had the same name  is not what he thought it was. Nor was the senior Hector's life, as a physician-turned eyeglass maker, exactly what everyone thought it was. To say nothing of Madame Carpentier, who religiously polishes the dowry silver that represents a life she once thought she had; or of Father Time, a boarder in the Carpentier house. It is in these layers that Bayard not only fleshes out his characters but also inspires questions  both plot-related and allegorical. What does Hector's father have to do, if anything, with the sad story of the youngster, Louis-Charles, so severely punished for the sins of his father? Why do so many people seem hell bent on eliminating the younger Hector? 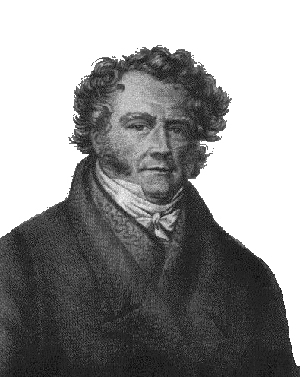 Who is this Vidocq? And what about "the strange mystique that surrounds him. He is considered apart from everything, even the Prefecture that nominally employs him. The law is one thing, Vidocq another"? What about Hector's relationship with his mother? Ponder these questions regarding the plot and before long the reader is pondering similar, metaphorical, questions in his/her own life. Do we really know our fathers, our mothers? What do we really know or need to know about our parents' dreams/disappointments? Does the persona we present to the world today represent the sum of all we have been and done in our past? Or have we made more of ourselves than a stack of personal experiences? Although the plot questions are wrapped up as neatly as can be expected, given the speculative nature of resurrecting a deceased king, the metaphorical questions remain. Good books satisfy a reader's curiosity about plot points. Excellent books do that plus they leave a reader with more, rather than less, to ponder about life and the world we live in. Damn you, Bayard, your book with all its questions will haunt me for a long time to come. *Chiaroscuro (Italian for light-dark) is the technique of using light and shade in a painting to achieve a sense of volume, the same term can be applied to films and photography. It can also be used to describe certain types of wood block printing. Image: An undated portrait of the real-life Eugène-François Vidocq. 1792: Louis XVI is tried for treason and convicted; the monarchy is abolished. France goes to war with Austria and its allies, including Prussia, (the war will last until 1797). 1793: Louis XVI and Queen Marie Antoinette are guillotined in Paris. Peasants in some parts of the country start to revolt. Faced with war from the outside and revolt from the inside the government institutes conscription and the Reign of Terror - a systematic and lethal repression of perceived enemies. By the end of 1794 over 16,000 will have died at the guillotine, and an estimated 40,000 more will have died in prison or been executed without trial. 1794: The Reign of Terror ends. 1799: The Revolution ends when Napoleon Bonaparte enters Paris and is crowned First Consul. 1804: Napoleon takes the title Napoleon I and starts expanding his empire. 1812: Napoleon is defeated in Russia. 1814: Napoleon abdicates and is exiled, and is replaced by Louis XVIII, who reigns for 10 years (the setting of The Black Tower). 1815: Napoleon reemerges, to be defeated at the Battle of Waterloo by the British. 1824: Louix XVIII is overturned by Charles X. 1830: Charles X is overturned in the July Revolution, and Louis Philippe is crowned king. The country enjoys a period of prosperity during his reign. 1848: Napoleon's nephew, Louis Napoleon, is elected first president of the Second Republic. 1852: Following a national vote, Louis Napoleon is proclaimed Emperor Napoleon III. 1870: The Franco-Prussian war begins. Paris is captured and Napoleon III is exiled. 1871: The Third Republic emerges, finally establishing the end of the monarchy. 1889 France hosts the Universal Exhibition of 1889 (for which the Eiffel Tower is built) to commemorate the centennial of the Revolution (the setting for Murder on the Eiffel Tower. This review was originally published in October 2008, and has been updated for the October 2009 paperback release. Click here to go to this issue.